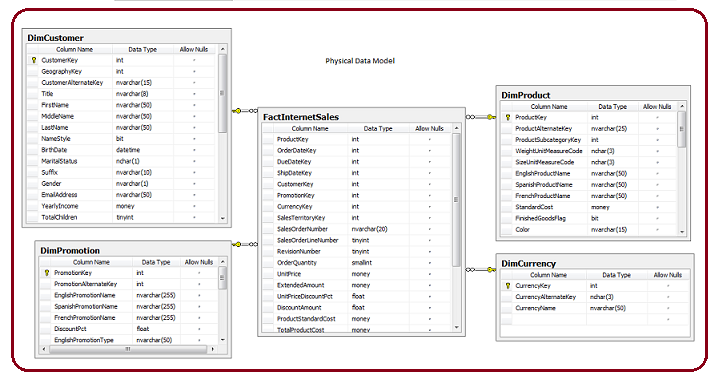 The next step after Logical Data Model is to generate Physical Data Model. Physical data model is generated from the approved Logical Data Model. Once Physical Data Model is completed, it is then forwarded to technical teams for review and implementation. In the figure below, the entity names has been changed to table names, changed attribute names to column names, assigned nullability constraints, and datatype for each column.